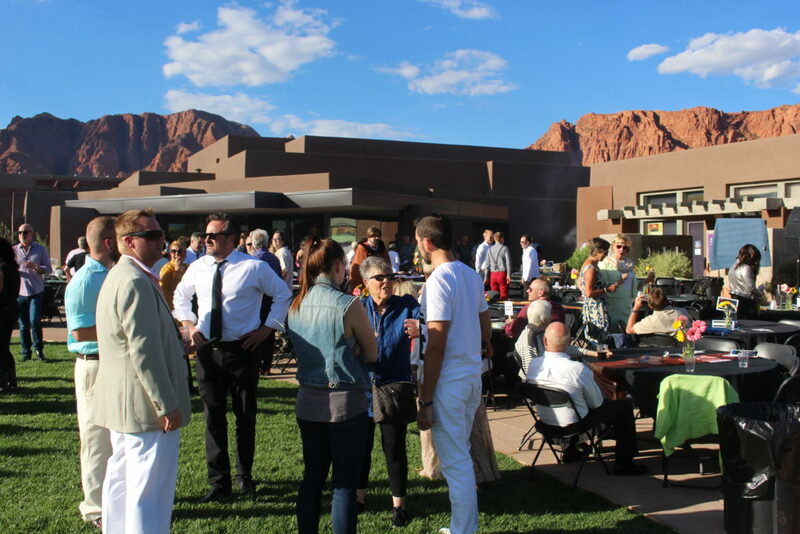 IVINS — No one should be ashamed because of who they choose to love was the message proclaimed by organizers of a fundraiser promoting LGBT causes Saturday evening. 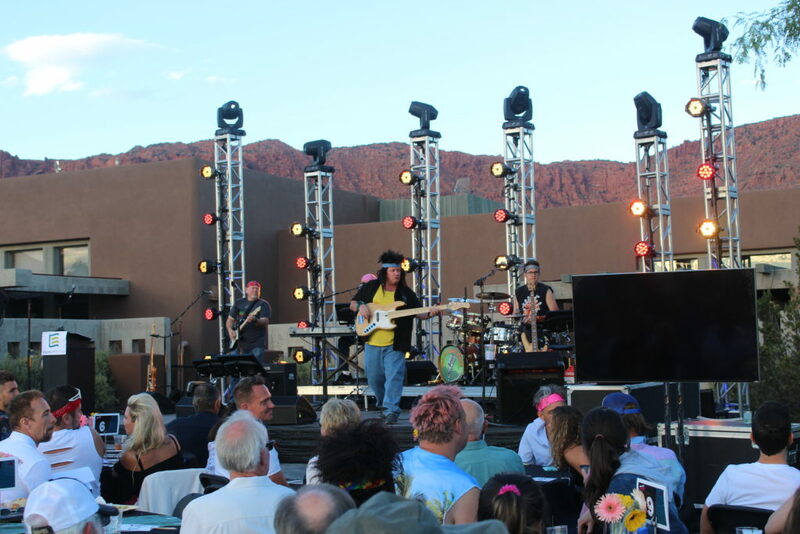 Equality Utah held its “Seventh Annual Equality Celebration” at Kayenta Art Village in Ivins. 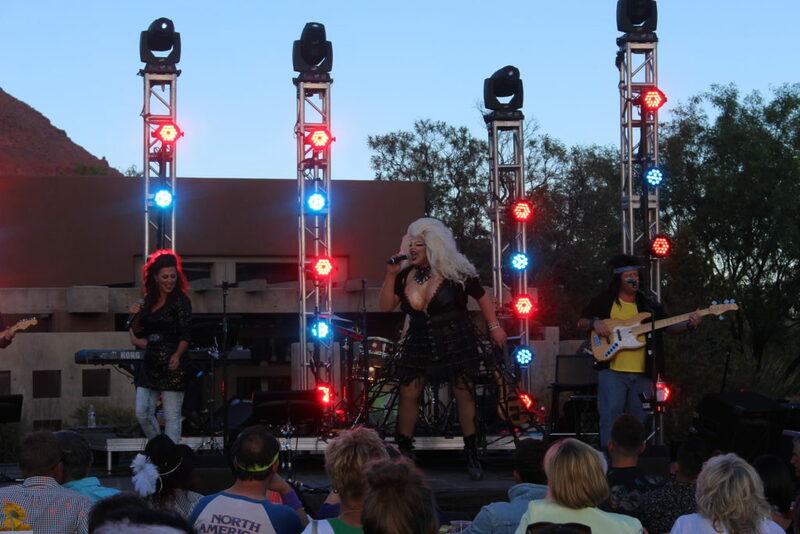 The event included an ’80s glam rock theme in which attendees dressed the part of their favorite rock stars of the era and rocked out to ’80s homage band Cleavage. See video in the media player top of this report. Equality Utah is a statewide nonprofit organization that works to secure equal rights and protections for LGBT people, such as hate crimes and nondiscrimination legislation. 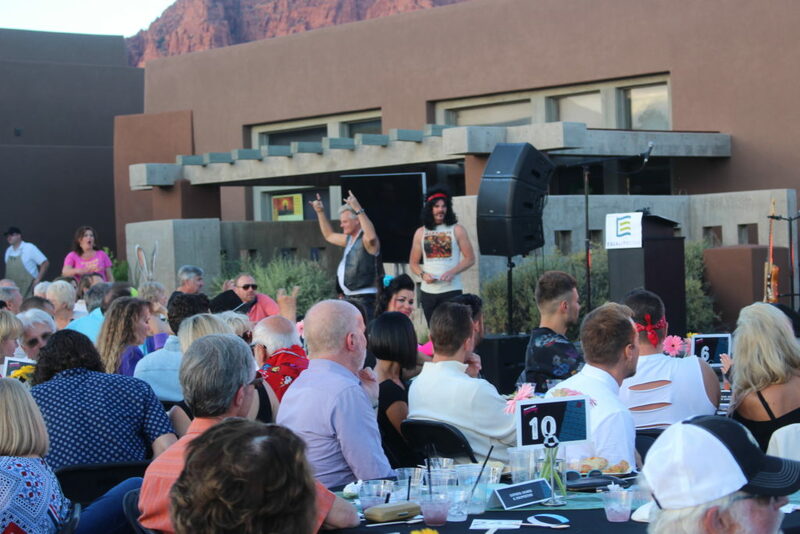 Three Southern Utah residents were honored at the event for their work in the LGBT community, including Elise West, Bobby Edwards and John Meisner. Meisner’s recognition was recommended by Southern Utah University staff for his work as an advocate for LGBT students at the university. 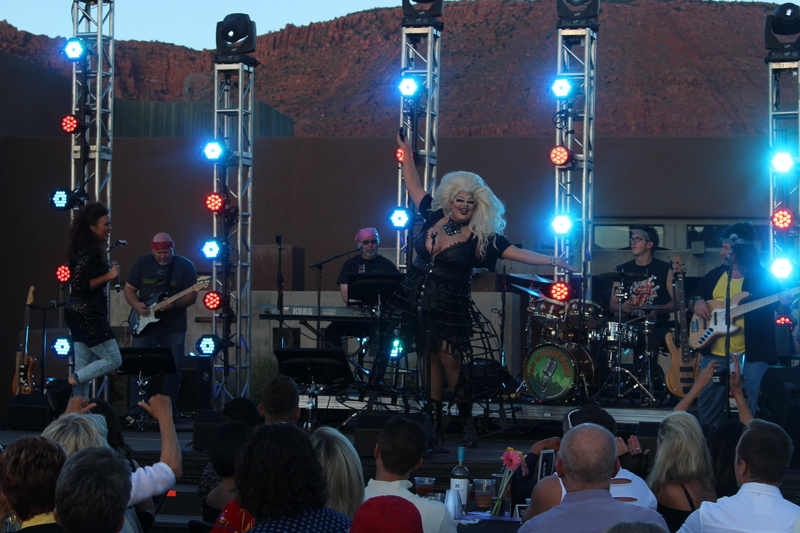 Edwards was honored for over 20 years of activism in the Southern Utah LGBT community. 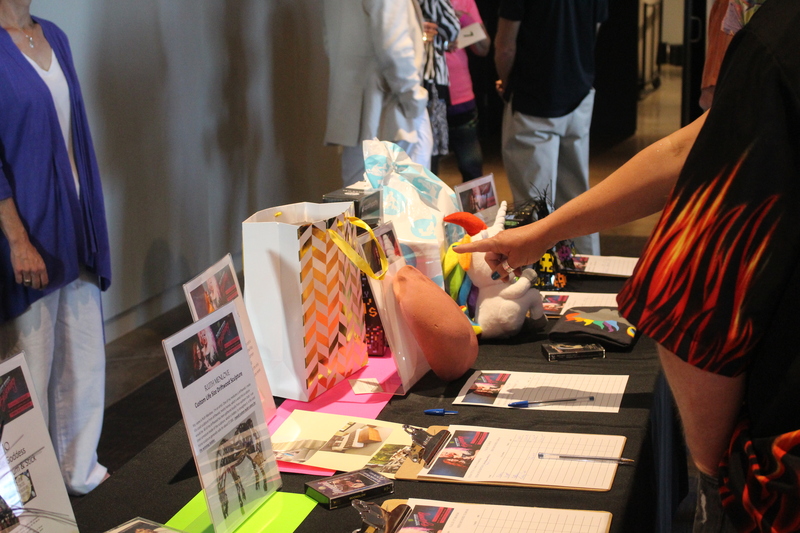 West was recognized for her service as a co-chair of the Equality Utah Celebration for six years. 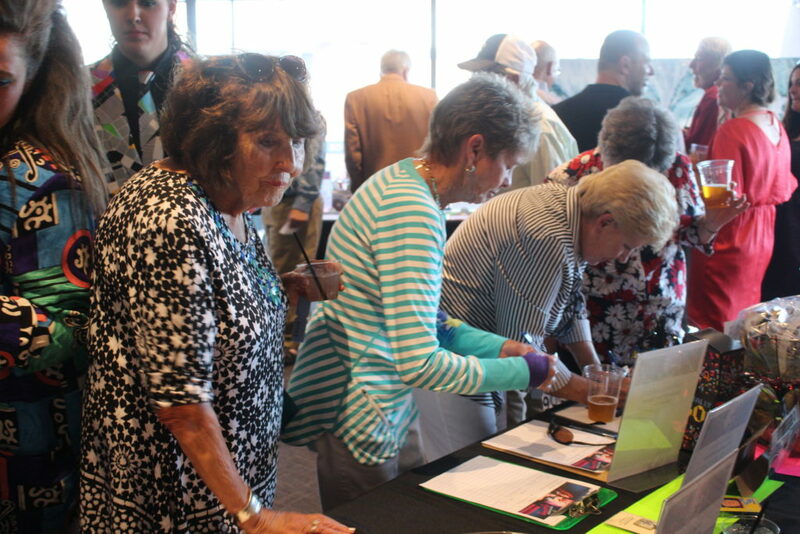 The fundraising event also included karaoke and a silent auction featuring works of prominent local artists. 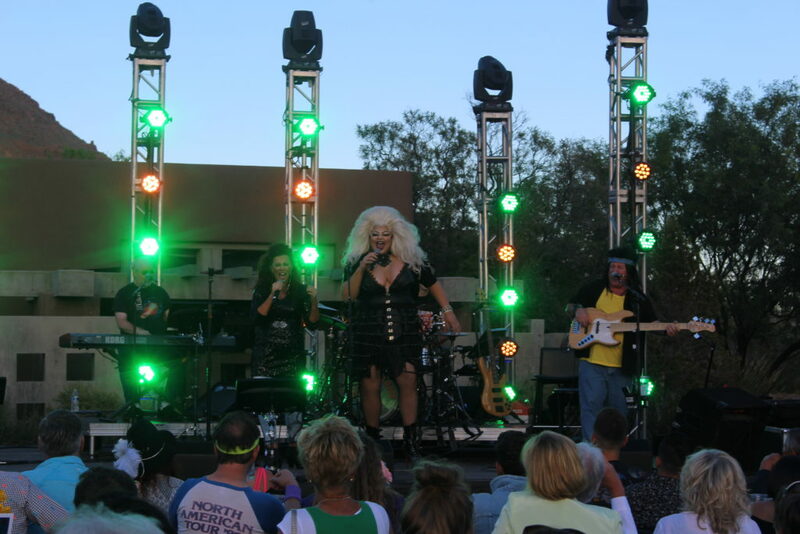 “The money we raise today helps continue the fight to make sure that, legally, the LGBTQ community has equal rights, that their voice is heard and that they are acknowledged as a powerful people and a powerful family,” Jason Burrows, event co-chair, said. Event co-chair Stephen Lambert said that advocacy for LGBT issues is as important as it’s ever been in today’s political climate. Equality Utah’s lobbying efforts in the 2017 Utah Legislature proved successful with the repeal of so-called “no promo homo” laws that prohibited the discussion of homosexuality in public schools. “The law really created this chilling culture. It sent a message to teachers and young LGBT students that their impulse to love was something that was so shameful that it dare not be spoken of in the classroom – it need to be censored, it needed to be erased,” Equality Utah Executive Director Troy Williams said. A bill rescinding the law passed nearly unanimously in the state House and Senate and was signed by Governor Gary Herbert in March. “So this law that has been creating this culture of silence in Utah public schools is now gone, and we believe that will create a more affirming, accepting, inclusive culture for young people,” Williams said. However, Williams said, there is still much work to be done, including working to create a more accepting culture for LGBT youth who suffer from higher than average suicide rates. Poor Joseph! He must’ve drawn the short straw.